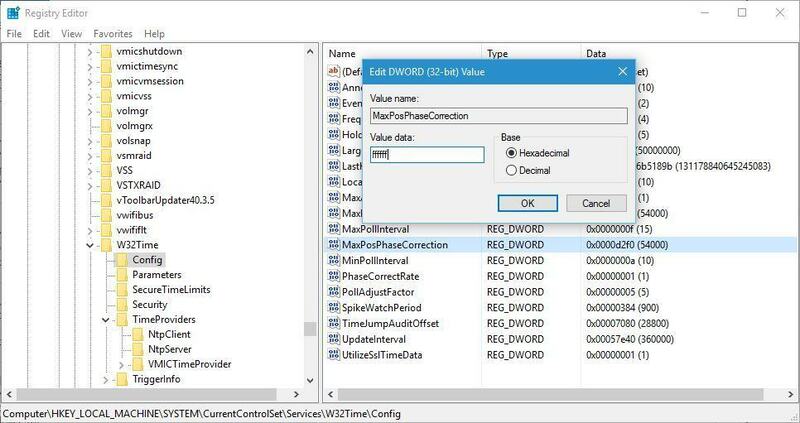 Automatic clock synchronization has been a part of Windows for years, and this feature is also present in Windows 10. Unfortunately, few users are having some issues with clock synchronization and they are reporting An error occurred while windows was synchronizing with time.windows.com error message. “An error occurred while windows was synchronizing with time.windows.com”, how to fix it? 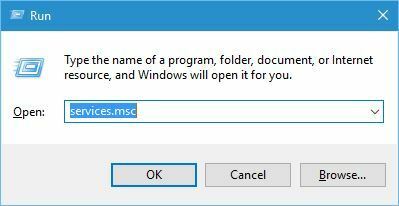 Press Windows Key + R and enter services.msc. Press Enter or click OK. 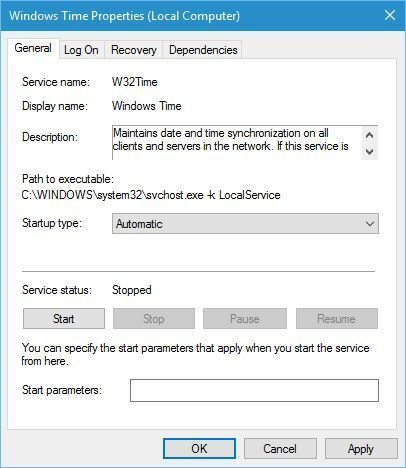 When Services window opens, locate Windows Time service and double click it to open its properties. 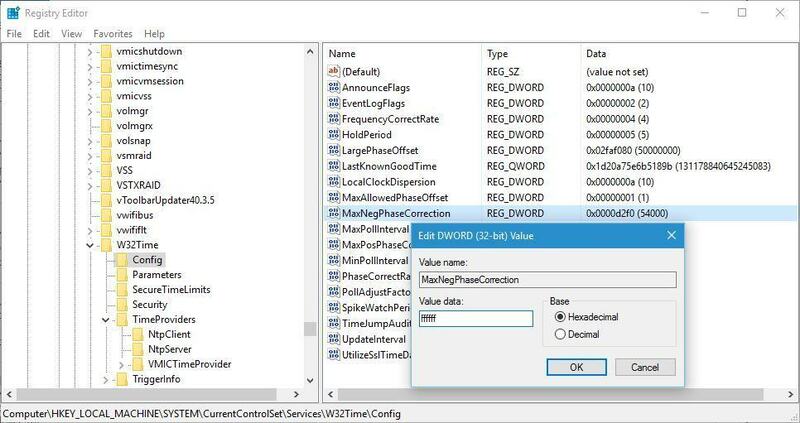 Set Startup type to Automatic and click the Start button to start Windows Time service. After doing that, click Apply and OK to save changes. Press Windows Key + S and enter date. Select Date and Time from the menu. 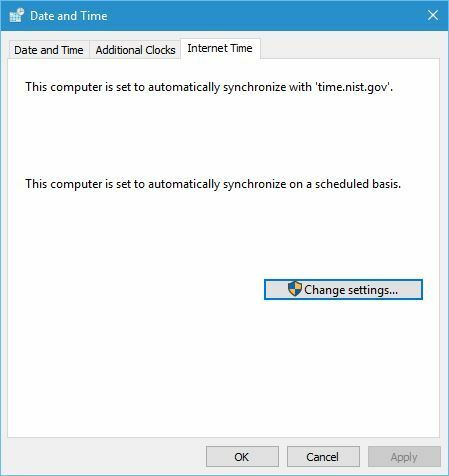 When Date and Time window opens, go to Internet Time and click Change settings button. 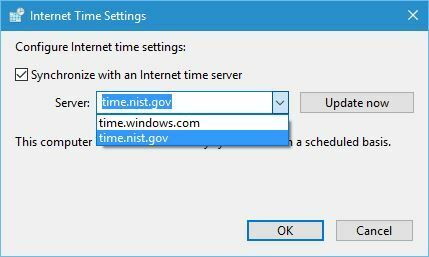 Select time.nist.gov as the Server and click the Update now button. Some users also reported that using pool.ntp.org as the server fixes this problem, so you can try using it as well. There are different time servers that you can use, and some of them are time-a.nist.gov, time-b.nist.gov, time-a.timefreq.bldrdoc.gov and time-b.timefreq.bldrdoc.gov. Before trying this solution, make sure that Windows Time service is set to Automatic and running. For detailed instructions on how to do that, be sure to have a look at our previous solution. In order to fix this issue, you might have to restart Windows Time service. 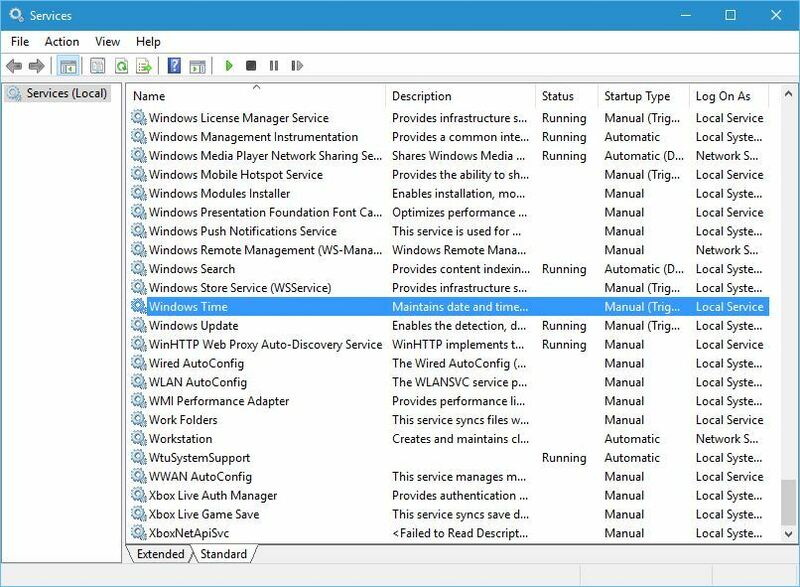 To do that, open the Services window and double click the Windows Time service to open its properties. If the service is running, stop it. Set the Startup Type to Automatic and start the service again. Click Apply and OK to save changes and restart your computer. 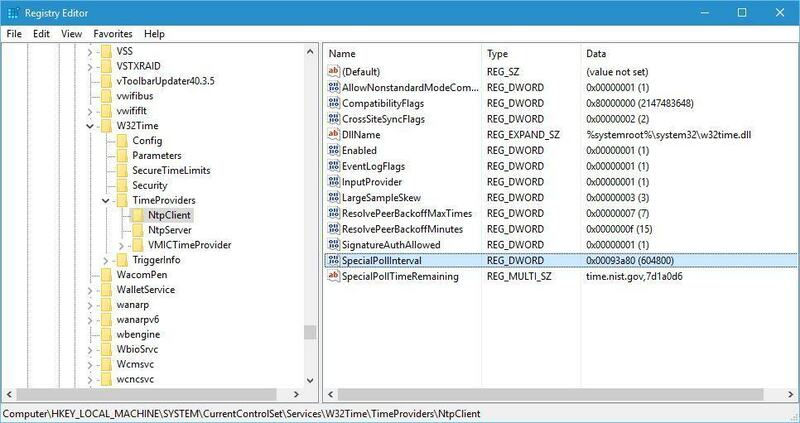 Go to Services and open Windows Time service properties. Go to Log On tab and select Local System account option. Check Allow service to interact with desktop option. After that, click Apply and OK and restart your PC. 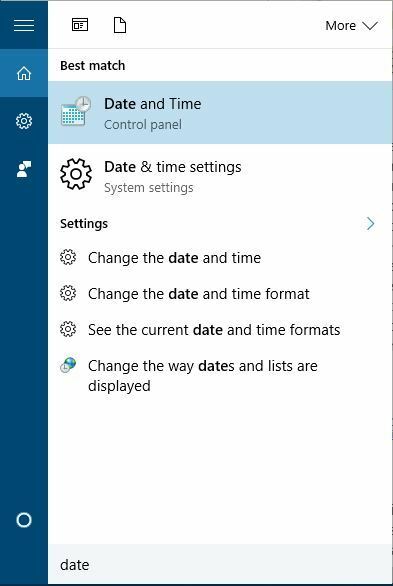 Keep in mind that you need to do this step right after restarting the Windows Time service. Press Windows Key + X to open Win+X menu and choose Command Prompt (Admin). If everything was successful, you should see “The windows Time Service is starting. 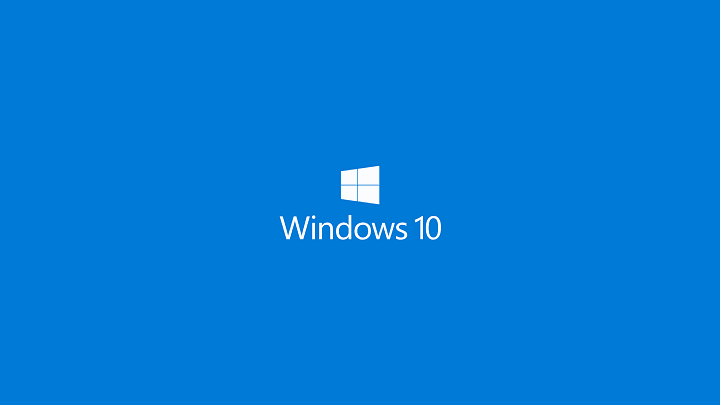 The windows time service was started successfully.” message. Close Command Prompt and try to synchronize your clock. Firewall tools are always useful because they prevent potentially dangerous applications from accessing the Internet. Unfortunately, sometimes these tools can interfere with your clock and cause this error to appear. To fix this error, be sure to temporary disable your firewall and check if that fixes the problem. If the issue persists, you might want to uninstall your firewall completely. 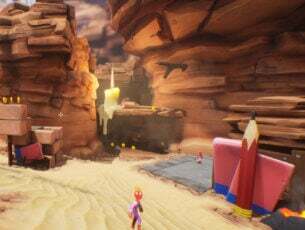 Users reported that after switching to Standard mode in their firewall or after disabling it completely they were able to synchronize their clock without any problems. In addition, you might want to configure your firewall to unlock NPT access on UDP port 123. If you changed your router’s firewall configuration, you might have to unlock UDP port 123 on your router as well. 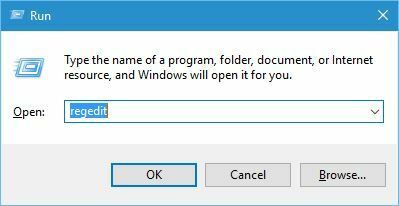 Press Windows Key + R and enter regedit. Press Enter or click OK. 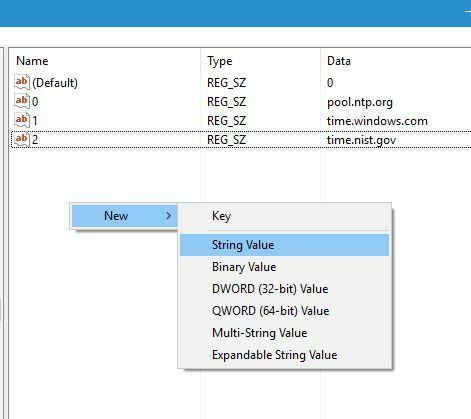 When Registry Editor starts, navigate to HKEY_LOCAL_MACHINE\SYSTEM\CurrentControlSet\Services\W32Time\TimeProviders\NtpClient key in the left pane. Double click the SpecialPollInterval key. 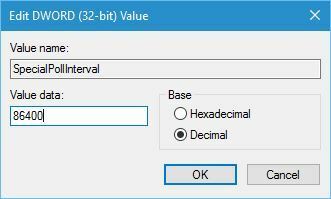 In Base section select Decimal. By default Value data should be set to 604800. This number represents 7 days in seconds, but you can change it to 86400 so it represents 1 day. After doing that, click OK to save changes. Open Registry Editor and navigate to the HKEY_LOCAL_MACHINE/SOFTWARE/Microsoft/Windows/CurrentVersion/DateTime/Servers key in left pane. You should see several values available in right pane. Every server will be represented by a number. To add a new time server, right click the empty space and choose New > String Value. Enter the appropriate number as the name, in our case that’s 3 since we already have 3 servers available, and double click it. In Value data field enter the server’s address. Users reported that tick.usno.navy.mil server worked for them, so you can add it if you want. Click OK to save changes. After you add servers to the registry, simply go to Time and Date settings and choose any of the servers that you added. For more information on how to change a time server, be sure to check Solution 2 for detailed instructions. Open Registry Editor and navigate to the HKEY_LOCAL_MACHINE\SYSTEM\CurrentControlSet\Services\W32Time\Config key in left pane. In right pane double click on MaxNegPhaseCorrection and set the Value data to ffffff. Click OK to save changes. Double click on MaxPosPhaseCorrection and set Value data to ffffff. Click OK to save changes. After doing that, try to synchronize your clock again. Before trying this solution it’s recommended to back up your registry in case anything goes wrong. An error occurred while Windows was synchronizing with time.windows.com error can prevent your clock from synchronizing, but you can easily solve this problem by changing your time server or by using any other of our solutions. Editor’s Note: This post was originally published in September 2016 and has been since completely revamped and updated for freshness, accuracy, and comprehensiveness. 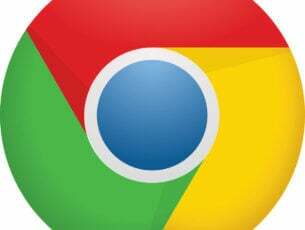 How do I uninstall Google Chrome on Windows 10?